…and for solace the perspective of your own infinite life. I am slowly, slowly, making my way through the staggering raison d’etre of this gentleman, who manged even his outrage and scorn with equanimity and articulate protest. He was Camus’ sort of rebel in one sense-he lived so that his life was an act of rebellion. Beautiful! 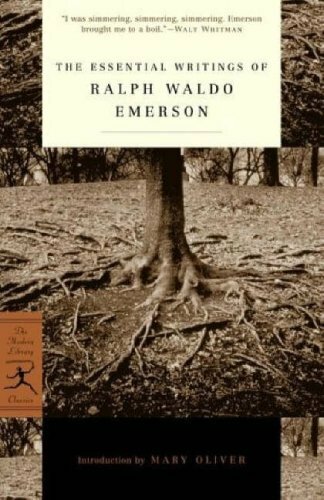 Emerson untethered [I’m speaking strictly of the Emerson of these insights] sees what ails us [intellectual and moral cannabilism], and what liberates us-keeping company with all the shades [big pasture mind], keeping principled, seeing our own infinite life. “Whoso [sic] would be a man, must be a nonconformist. He who would gather immortal palms must not be hindered by the name of goodness, but must explore if it be goodness. Nothing is at last sacred but the integrity of your own mind.” [Self Reliance, 1841]. I don’t know where you take your solace in this society ruled by whores and cut-throats, but you could do worse than consider what Emerson points to here- look to the integrity of your own mind, the solace of your infinite life. This entry was posted in non-music writing on March 18, 2010 by jessewgoin.